When performed by some talented individuals, the sport of surf sliding becomes a dance, a stirring, fluid movement that works with a breaking wave rather than smashing and gashing against it. Santa Barbara native Trevor Gordon is just such a wave rider, an undeniable lion of style every time he paddles out. But Gordon’s grace on the ocean is really an extension of a life lived deliberately in step with the great outdoors: in the mountains, on the sea, and everywhere in between. The almost 25-year-old has cultivated a life that keeps him ready to chase the next adventure at a moment's notice. 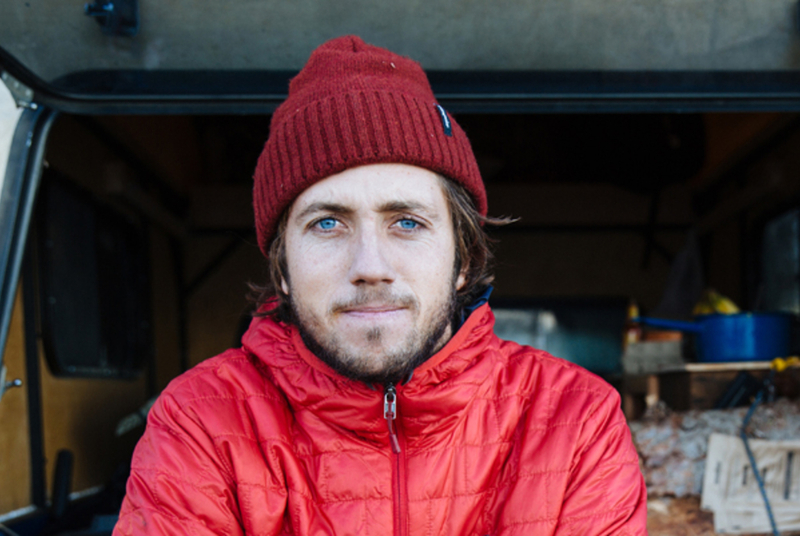 Gordon's ability with surfboards of all shapes and sizes, coupled with a mean artistic streak (his Instagram feed shows his talented eye), has him able to pay the rent, with help from his primary sponsor/employer Poler Outdoor Stuff. 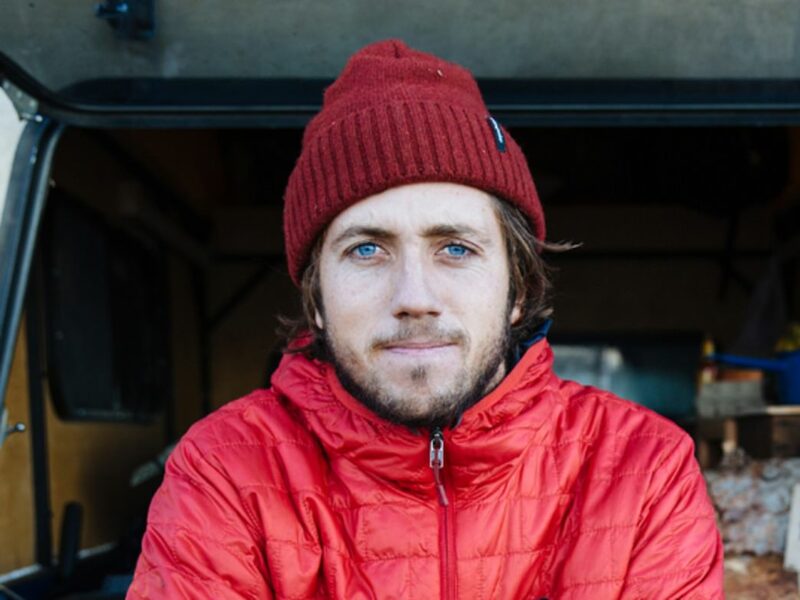 Previously, Gordon had been on the payroll for outdoor titans like Patagonia, Teva, and Clif Bar, but in recent months, he has opted to go all in with Poler and help spearhead its newbie surf program. 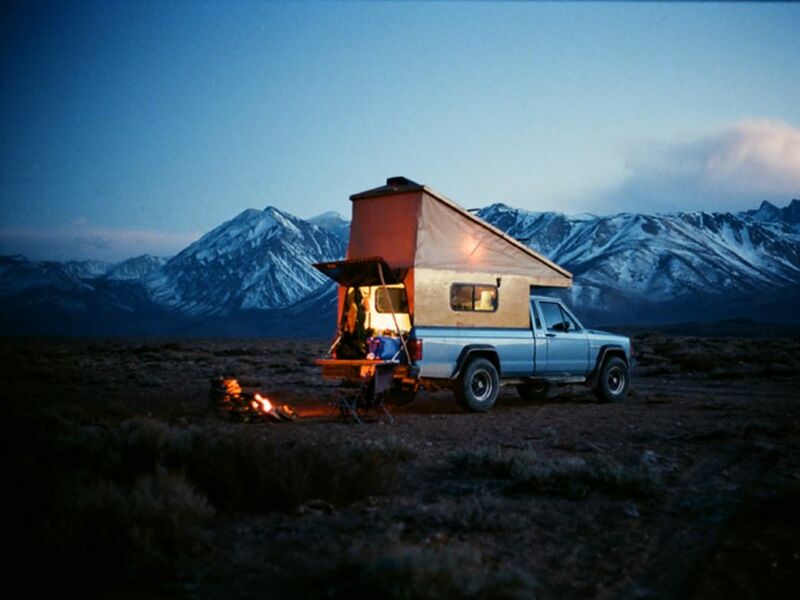 But really, it is what exactly he pays “rent” for—a custom-designed camper that he now uses for home base during extensive travels, as well as a 36-foot sailboat—that are fitting examples of his commitment to an outdoor life less ordinary. "It’s pretty fun to be able to take off without much notice and have everything with you," Gordon explained recently. A few years back, Gordon lived in a modest studio in the foothills behind Rincon. 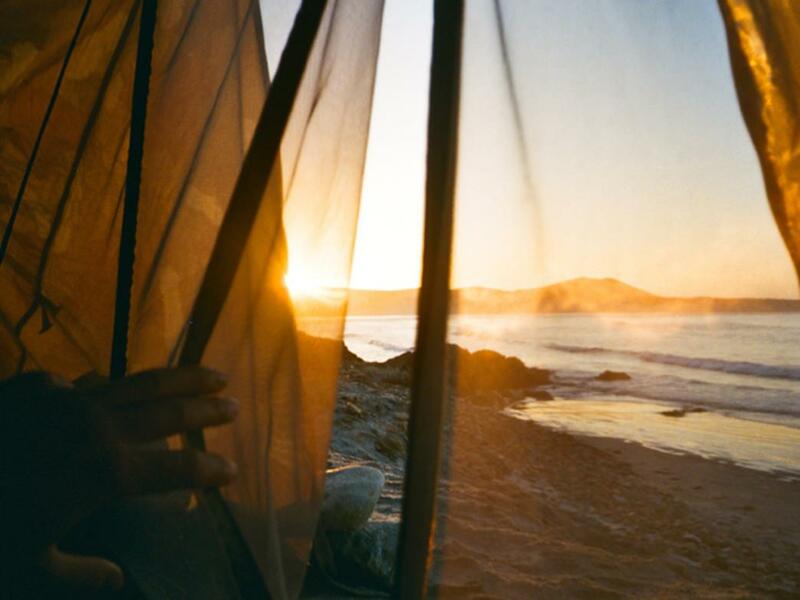 Although the idyllic location was close to both the ocean and surrounding backcountry, there were things he knew could be improved. A budding friendship with Instagram titan and outdoor enthusiast Foster Huntington opened Gordon’s eyes to the upside of a lifestyle that enabled travel and adventure. Gordon had long driven an old VW bus as his primary vehicle, which allowed him to explore California in his late teens and early 20’s. However, with Huntington chirping in his ear, he soon enough opted to upgrade his scene. First came a 1991 Jeep Comanche, which is essentially a truck version of a Jeep Cherokee. Then, with designs on a long, slow ramble up to Alaska, he began an ambitious and epic build of a custom camper for his new used rig. And so, “Woody” gave way to a more traditional camper that he found used while traveling through Oregon. Around the same time, he and his partner, illustrator and vegan cook extraordinaire Maddie Joyce, moved onto a 36-foot Catalina sailboat in the Santa Barbara harbor. They dubbed the boat Calico and started using it much like they had “Woody”, as a mobile home perfect for adventure on the high seas. 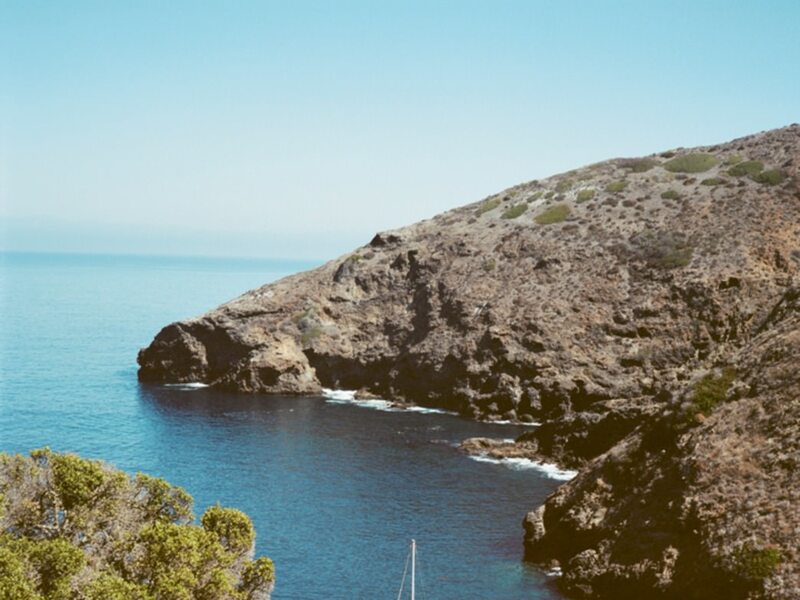 “I think we took at least 10 trips out to the Channel Islands those first few months,” Gordon says. 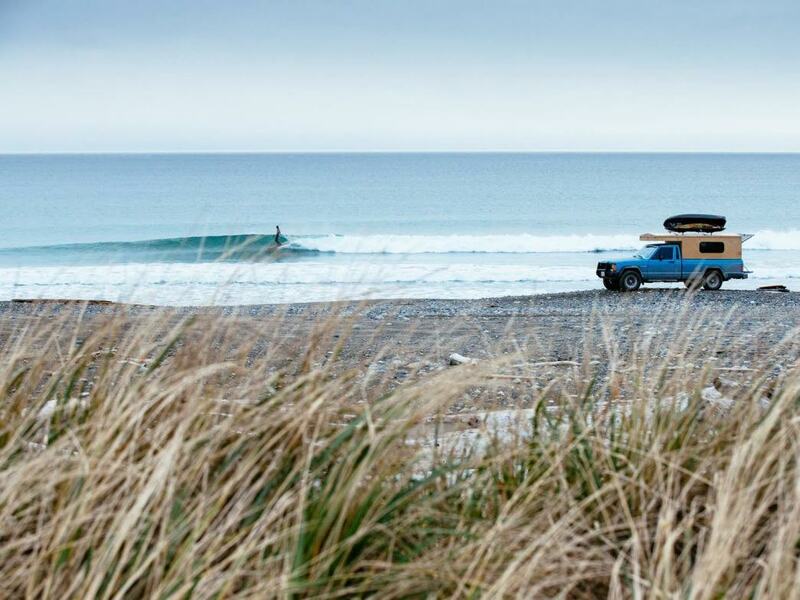 These days, with winter swells fading fast into the winds of spring, Gordon continues to evolve his approach to getting—and staying—outdoors and on the road as much as possible. Between his truck set-up and Calico , which keep him essentially “always packed,” he finds his biggest challenge to be keeping both modes of transport/living ready for the next adventure.